The Republic of Ghana which means "Warrior King” is an economic power house in West Africa, and has one of the biggest economies on the African continent and one of the world's fastest growing economies. It is a fossil fuel-rich, natural and mineral resource nation. It is home to one of the world's largest gold and sweet crude oil reserves and also the second major producer of cocoa in the world. The Ghanaians are a people originating in the Ghanaian Gold Coast. Native West Africans make up 98% percent of the Ghanaian population. There is also a new population of Asians, Middle Easterners, Europeans and other recent immigrants. There are over 100 different ethnic groups, each with its own distinct language. Ghana's cultural diversity is most evident in cuisine, arts, literature, heritage, music, dance, clothing, and sports. 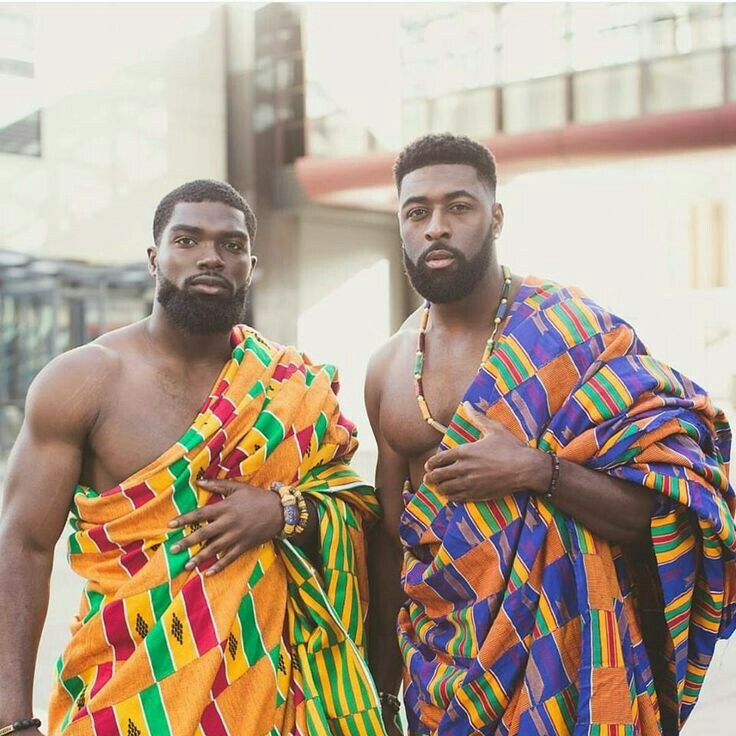 Kente is a Ghanaian ceremonial cloth traditionally used as the national costume. Kente is hand-woven on a horizontal treadle loom in strips and sewn together into larger pieces of cloth which come in various colours and designs. During the 13th century, Ghanaians developed their unique art of adinkra printing. Notable Ghanaian authors include novelists Ayi Kwei Armah (The Beautyful Ones Are Not Yet Born) and J. E. Casely Hayford, author of Osiris Rising. 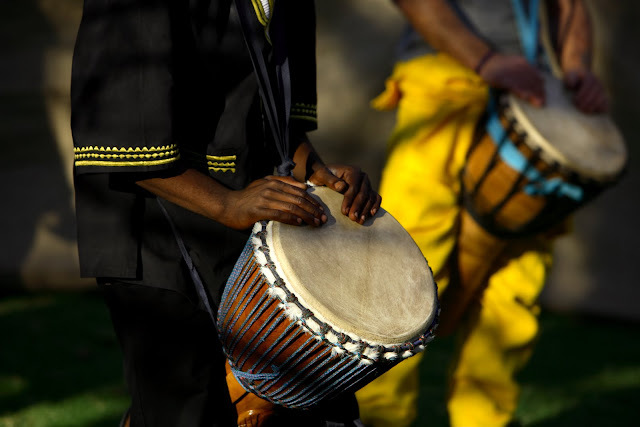 Ghanaian music incorporates several distinct types of instruments such as talking drums, the atenteben and koloko lute, the atumpan, and log xylophones used in asonko music. The most well-known genre to come from Ghana is highlife. Highlife originated in the late 19th century and early 20th century. In the 1990s, a new genre of music, hiplife, was created through the combination of highlife, Afro-reggae, dancehall and hiphop. Hiplife is the most popular Ghanaian music, followed by highlife. Some popular dances include Adowa and Azonto. Other traditional dances from Ghana are Kpanlogo, Klama and Bamaya. Kwame Nkrumah the first Commander-in-Chief of the Republic of Ghana was deposed in 1966, after which Ghana entered a period of military rule. On 31 December 1981, the regime led by Flight lieutenant Jerry John Rawlings installed the Provisional National Defence Council (PNDC), of which he became Chairman. In 1992, Rawlings retired from the military and set up the National Democratic Congress (NDC), and was subsequently elected for two terms as President. Ghana has been a stable democracy since 1992. Following the death of President John Atta Mills in July 2012, Vice President John Dramani Mahama became interim head of state. In December 2012, he was elected president and is still the current president of Ghana. Ghana is Africa’s second-biggest gold producer (after South Africa) and second-largest cocoa producer. It is also rich in diamonds, manganese ore, bauxite and oil. Most of its debt was canceled in 2005. 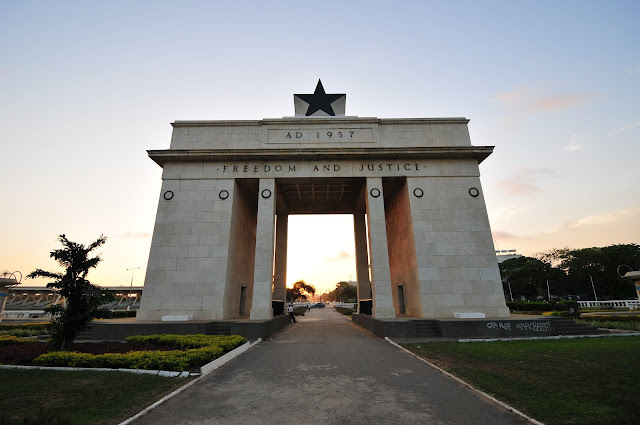 With a diverse and rich resource base, including the manufacturing and export of digital technology goods, auto products, ship construction, hydrocarbons and industrial minerals, Ghana has one of the highest GDPs per capita in Africa. Owing to a GDP rebasement, in 2011 Ghana became the fastest growing economy in the world. The Ghanaian domestic economy revolves around services, which accounts for 50% of GDP and employs 28% of the work force. Besides the industrialization associated with minerals and oil, industrial development in Ghana remains basic, often associated with plastics. 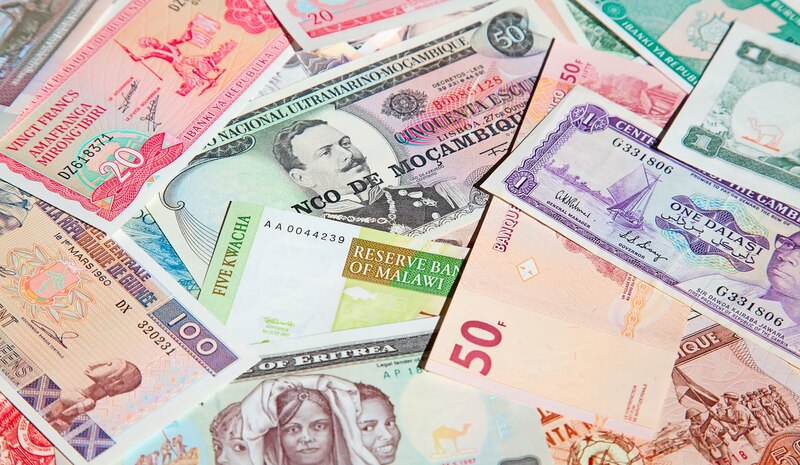 Ghana embarked on a currency re-denomination exercise, from Cedi (¢) to the new currency, the Ghana Cedi (GH¢) in July 2007. The transfer rate is 1 Ghana Cedi for every 10,000 Cedis. The redenomination was followed with an aggressive media campaign to educate the public about what re-denomination entails. Tourism contributes about 4.9% of GDP, attracting around 500,000 visitors to Ghana. 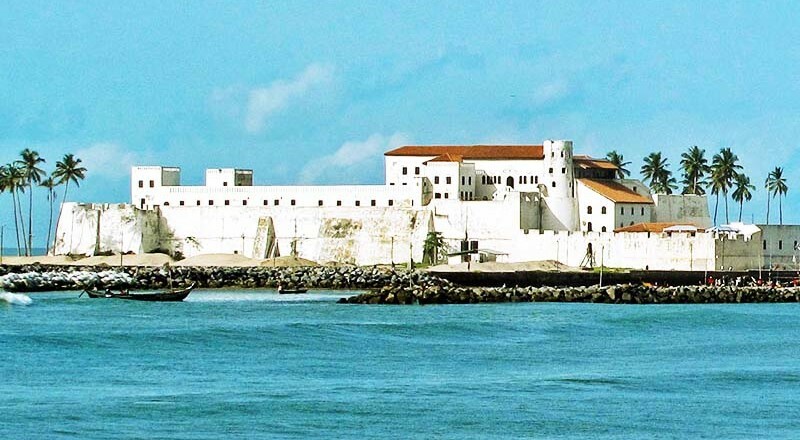 Tourist destinations include Ghana's many castles and forts, national parks, beaches, nature reserves, landscapes and World Heritage buildings and sites. In 2011, Forbes magazine ranked Ghana eleventh friendliest country in the world based on a survey of a cross-section of travelers in 2010. Of all the countries on the African continent that were included in the survey, Ghana ranked highest. Ghana has 30 banks currently operating in the country regulated by Bank of Ghana, (BoG), which is the country’s central bank. 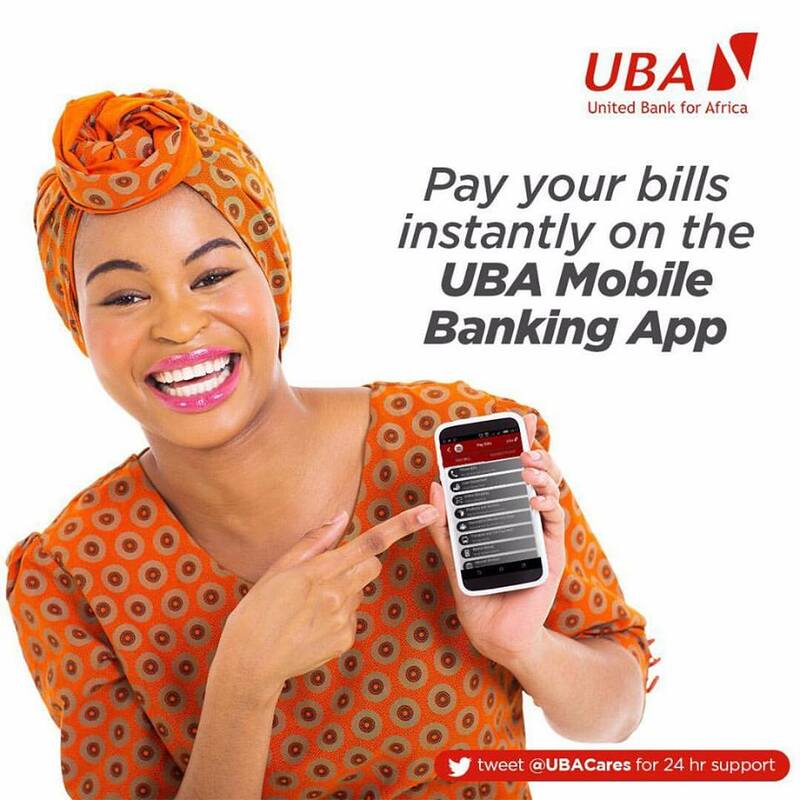 UBA pioneered the entry of Nigerian banks into the Ghanaian economy. Currently, there are seven Nigerian banks supporting the Ghanaian Economy in different aspects. Agribusiness accounts for a small fraction of the gross domestic product. The main harvested crops are corn, plantain, rice, millet, sorghum, cassava and yam. Unlike the agricultural livestock, forestry, and fishing sectors, the crop sector is key to the Ghanaian agricultural industry. To study better at college every student should know how to write a reaction paper. I haven't been there before. It's a great country to visit. This https://writemypaper4me.org/blog/research-papers-writing website is great too!